My French holiday back in December was the occasion to catch up with some very good friends from my uni years, who were also in town to see their families. We decided to have lunch at “Le 7”, the bistro version of the world renowned 3-star restaurant La Maison Pic, Valence, in the Rhône-Alpes region. 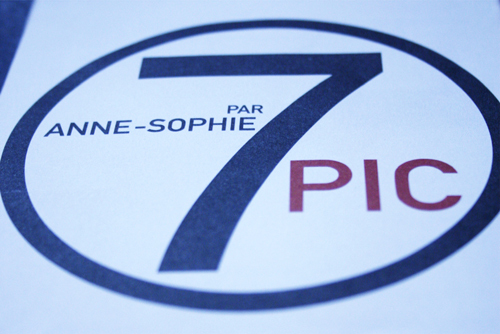 The number “7” refers to the famous Route Nationale 7, also named “La Route bleue” (The Blue Road) or “La Route des vacances” (The Holiday Road). At the height of its glory, the RN7 ran over 1004km, starting from Notre Dame Cathedral in Paris, the “Zero point” for all French roads, down to Menton near the Italian border, via Lyon, Nice and Cannes. Even though it has now been replaced with much more efficient highways and motorways, RN7 still evokes a certain nostalgia: the first paid holidays (1936), the first individual cars (50’s), visions of endless traffic jams as the whole French population seemed to be driving down to the Côte d’Azur every summer… happy times! Many RN7 nostalgics have created associations and clubs to keep intact its memory by organising memorabilia fairs, vintage cars events, even re-enactments of the traffic jams in the fifties and sixties! 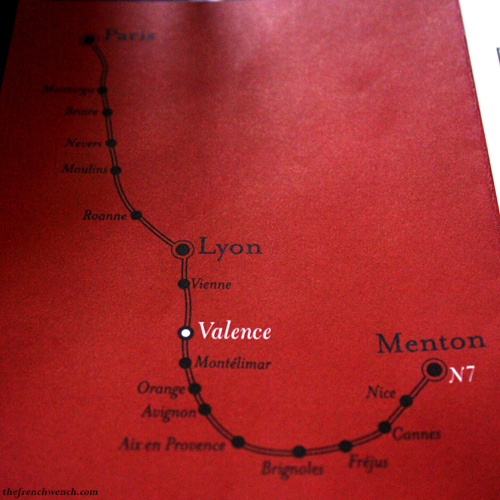 There are also board games, touristic tours, photography books, all dedicated to the Route nationale. 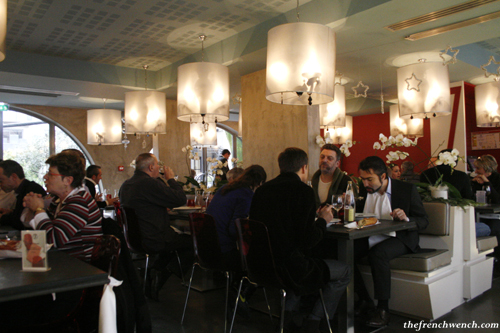 “Le 7” Bistrot was opened in 2006 as an homage to the famous restaurants that could be found along the RN7, such as “La Côte d’Or” in Bourgogne, “Les Trois Gros” in Roanne, “La Mère Brazier” and “Bocuse” in Lyon and “La Pyramide” in Vienne and among them of course “La Maison Pic” in Valence. “Le 7” and “La Maison Pic” are both run by Anne-Sophie Pic, recently named the World’s Best Female Chef by San Pellegrino in its 2011 World’s 50 Best Restaurant Awards. She is also the first female chef to obtain the coveted 3 Michelin stars in 2007, thus perpetuating the family tradition, as the accolade was won by her father and her grandfather before her. 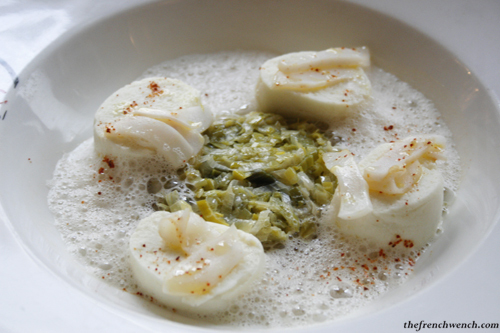 “La Maison Pic” was founded in 1936 by André Pic, but the restaurant already existed as “L’Auberge du Pin” as far back as 1891,when it was run by his mother Sophie. 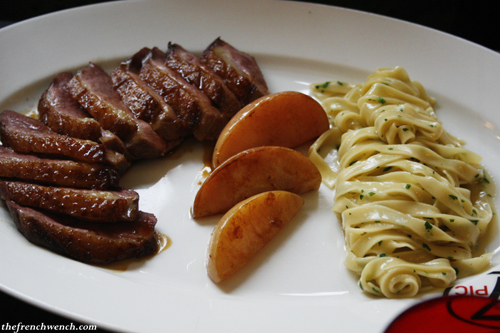 He got the restaurant its first 3 Michelin stars in 1934, and his son Jacques repeated the exploit in 1973. Anne-Sophie, Jacques’ daughter, first chose to study business management, then travelled the world and worked for luxury brands like Cartier and Moët & Chandon. At age 22, she decided her life was in the restaurant kitchen and started an apprenticeship with her father. Unfortunately he died of an aneurysm shortly after, in 1992. She soon left the kitchen for the administrative side of the business, not feeling at ease in the awkward position of “boss/apprentice”. Her brother Alain moved on to another venture a few years later, leaving Anne-Sophie the sole manager. In 1995 she married David Sinapian and together, David at the management and Anne-Sophie back in the kitchen, they worked tirelessly to infuse a new life into the restaurant and bring its 3rd Michelin star lost in 1995. 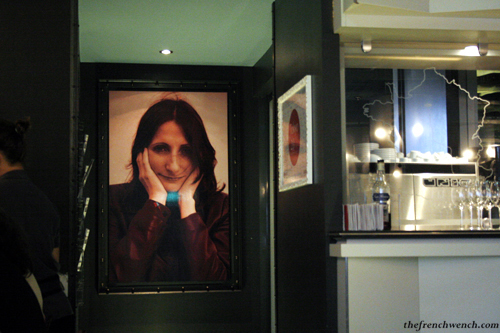 In 2007, she finally regained the 3rd Michelin star, thus becoming the 4th woman in France to obtain 3 stars. The Bistrot 7 adds yet another stone to the Pic empire, comprising of the Pic hotel & restaurant, Pic consulting, the e-store, the cookbook, Pic cooking classes, seminars and the Pic foundation..! We arrived at “Le 7” for lunch in a reasonably packed dining room, after walking past the original restaurant next door and marvelling at the 8-course 330€ (AU$450) degustation menu, including a Sea Bass covered in caviar (Jacques Pic’s signature dish, kept on the menu ever since its creation in 1971). 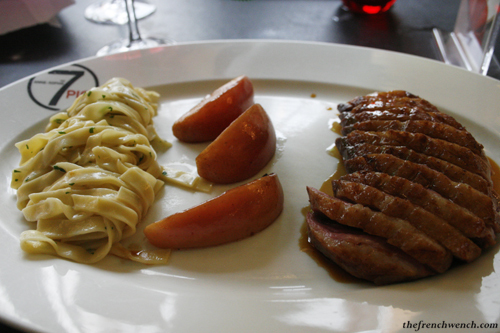 After considering our options, my friend and her partner both chose the set lunch menu at 29€ and my other friend and I chose from the A-la-Carte menu, as we both found the Confit Rabbit Ravioli entree and the Duck main too appealing to refuse. 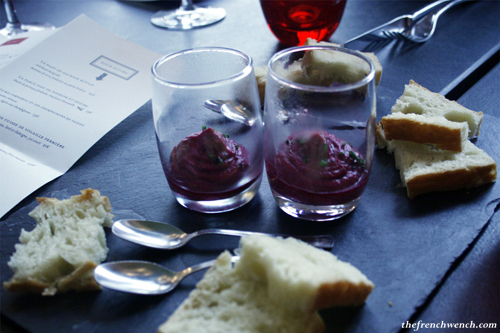 We were then offered complimentary Beetroot dips with bread, which were pretty pleasant. 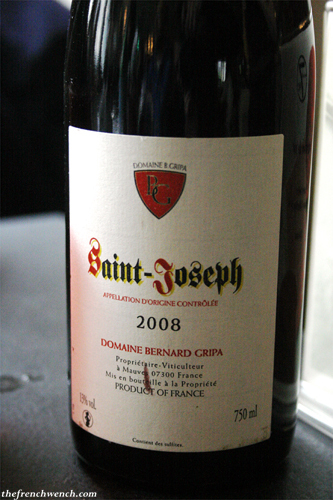 We all agreed on ordering a 2008 Saint-Joseph, made out of shiraz (“syrah”) grapes and produced a bit further north in the Rhône Valley. On the Gault & Millau‘s website, it is described as powerful, tannic, fruity, spicy, tasting of blackcurrant, blueberry and violet… which sounds about right! 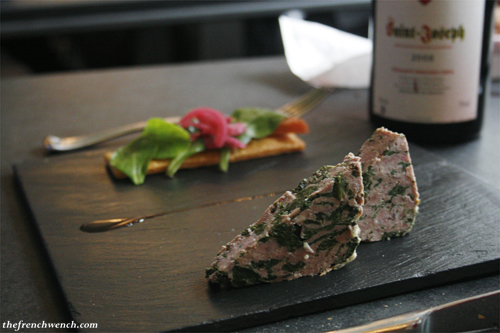 My friends seemed to enjoy the game terrine from the set menu very much (pictured above). 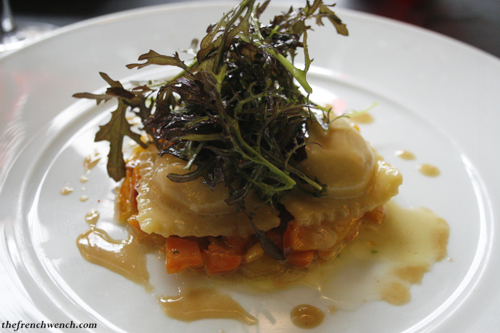 The Rabbit Ravioles didn’t taste quite as I had fantasized when I read the menu description, but they were nonetheless very good, the raviole dough was nice and ferm and… there was enough butter! The above dish was also part of the set menu and my friend enjoyed it immensely, saying it was fresh, light and subtil… I was a bit jealous. Her man seemed also pretty happy with his chicken dish. I know I said I could barely finish my plate, but I still decided I would have some dessert… so there! I didn’t choose the lightest dessert either, the Paris-Brest being a choux pastry filled with a praline flavoured pastry cream, it’s pretty heavy! 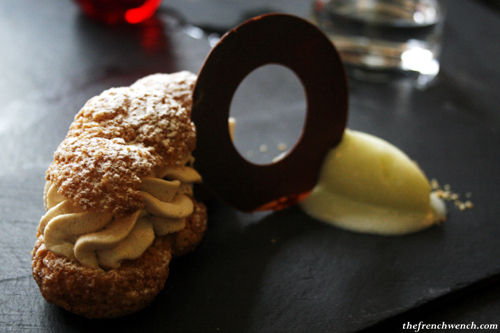 But that one went down a treat, the choux pastry was light and airy and the apple puree cream was just delicious… I didn’t regret this little indulgence. My friend’s partner decides to accompany me so that I don’t feel too lonely eating my dessert… looks like it wasn’t such a sacrifice for him, that chocolate and praline dessert also looked pretty good! 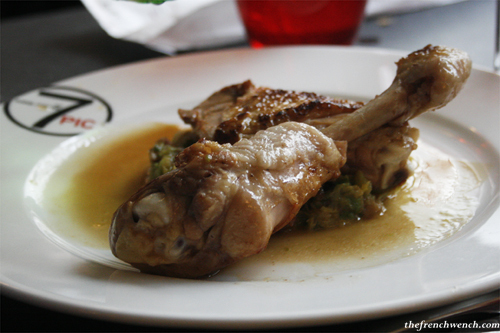 On the whole, a very pleasant meal and an affordable way to discover Anne-Sophie Pic’s world. Well worth straying from the motorway for a gastronomic drive along the RN7! 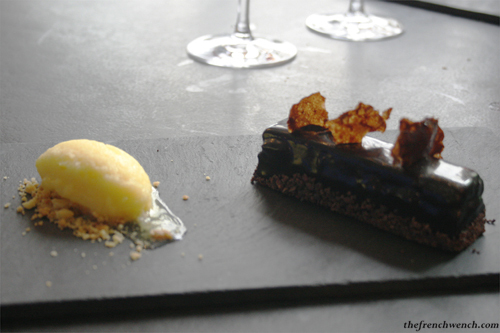 This entry was posted in Restaurants, Travel and tagged 3 stars Michelin, Anne-Sophie Pic, Le 7 Bistrot chic, Maison Pic, Rhône-Alpes, RN7, Route Bleue, Route des Vacances, Valence. Bookmark the permalink. Yes, I see what you mean with the chocolate disc, but don’t you worry, it got eaten anyway! This sounds OK but I must tell about a lunch we had over the Easter break. It started with a palate pleasing caesar salad (the dressing a closely guarded secret) followed by a mouth watering dish of pasta (I said at the time the best I had ever had) dressed with sauteed French porcini mushrooms and then finished with a magnificent chocolate mousse. All home made. 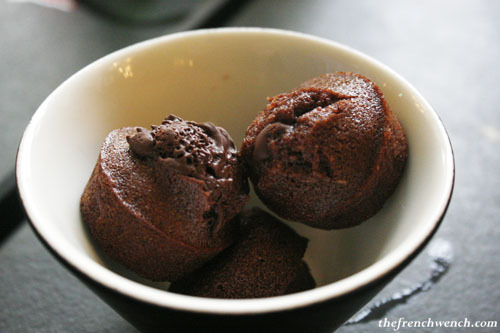 Simple and delicious and simply superbe. Thanks again to M and S.
It is one of my dreams to go down to Valence, to eat there, or better, take a class! Thanks for the “avant-goût”! We had lunch at Le 7 (and dinner at the restaurant and breakfast next morning) back in August 2009, and I’ve got only the fondest memories of the food – very tasty!! !